We are joined by Molly Hardy, ACLS Public Fellow and Digital Humanities Curator at the American Antiquarian Society in Worcester, MA, and project manager of the Isaiah Thomas Broadside Ballad project, and Pleun Bouricius, Director of Grants and Programs for Mass Humanities. With them, we will explore this online collection of popular music materials from the early 1800’s, including the use and reuse of popular tunes during the early nineteenth century, which, we as we learned this week from the Pharrell Williams/Marvin Gaye trail outcome, would be seen as plagiarism today. Today we speak with Sally Roesch Wagner, the Founding Director of the Matilda Joslyn Gage Foundation, which is partnering with the New York Council for the Humanities to planning a number of programs and events celebrating the 100th anniversary of women's suffrage in New York State, which we will celebrate in 2017. Next week, the Gage Foundation, New York Council, and other partners will be in Albany to talk to lawmakers about their plans for the celebration. We are very happy to continue our regular feature – Ideas Matter: Checking in with the Public Humanities. Today we check in with the Vermont Humanities Council and a speaker in their First Wednesdays lecture series. Haviland Smith, Former CIA Chief of Counterterrorism, will be talking about "Dealing with Foreign Terrorism" in Montpelier, Vermont on Wednesday, March 4. He will examine the history of foreign terrorism directed against US interests, our policy for dealing with it, and how we might do better. He joins us along with Sylvia Plumb, Vermont Humanities Director of Communications. Today we are talking with Pleun Bouricius, Director of Programs for Mass Humanities, about Laurie Kahn's forthcoming documentary, Love Between the Covers, a film about popular romance novels and the author-reader community that sustains the billion dollar popular romance fiction industry. The film was funded both by Mass Humanities and the National Endowment for the Humanities. With them, we will explore what motivated them to fund and explore this topic, which which has raised some hackles in conservative circles, but also garnered rave reviews at its sneak preview at the Library of Congress. Everyone agrees that our troops deserve a return to productive and creative lives after service. Yet, in spite of billions spent on psychological care and reintegration programs, we face an epidemic of combat-related conditions like PTSD. What's the solution? 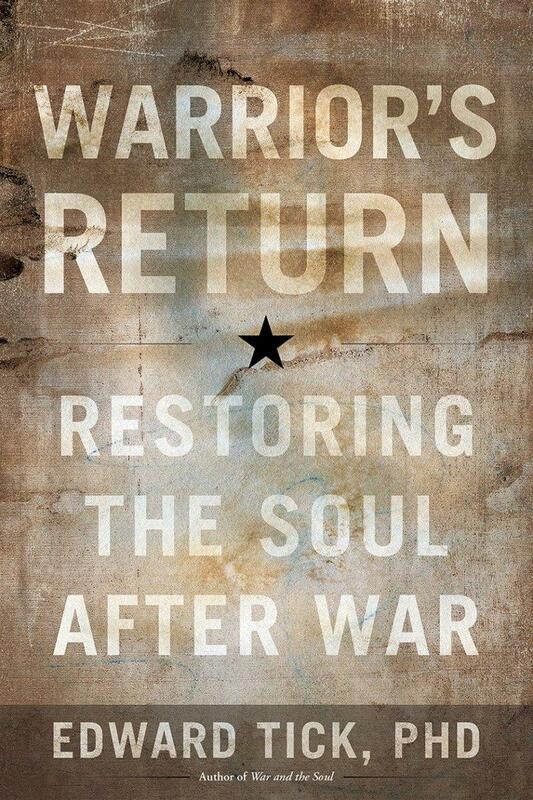 In Warrior's Return, Dr. Edward Tick reveals what's missing in our approach to helping our veterans acclimate from the battlefield to civilian live.